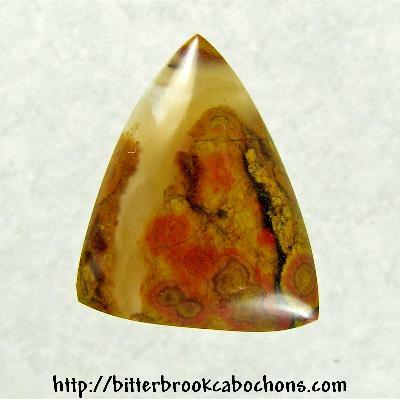 This Poppy Jasper freeform triangle was a "serendipity" demonstration in a recent class at William Holland. I cut a small slab just to see what would come out. I think it came out pretty good! 18mm x 15mm x 4mm. Weight: 6.95 carats.